Create new server and install WDS role. 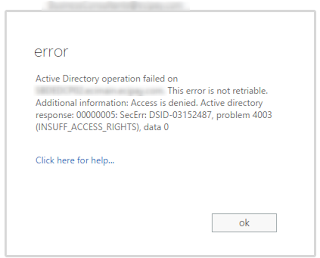 If you are unable to start the WDS service, delete the WDS database and logs from the old server located at <drive letter>:\RemoteInstall\Stores\Metadata\*.*. You should be able to start the service after deleting these files. This script is capable of adding a list of domains to an Exchange Online Spam Filter policy. It can be downloaded from TechNet or Github. This is a fairly generic error message. However, the "Connection Refused" part prompted me to take a look at the vCenter services. You can view these services by browsing to Home > Administration > System Configuration > Services in the vSphere Web Client for vCenter. On the Summary tab, there is a handy "Services Health" section that will give you a high level overview of the overall health of the services. You can see here that three of the services are in a critical state on my vCenter appliance. You can hover your mouse pointer over the critical services link and view the critical services. You can also click on each service to get a better view of the status. The Postgres database service on my appliance was one of the services in critical state. I clicked on it and viewed the screen below. You can see here that the problem is obvious, the filesystem holding the Postgres database service is completely out of space. I was able to identify that the log directory was the culprit. 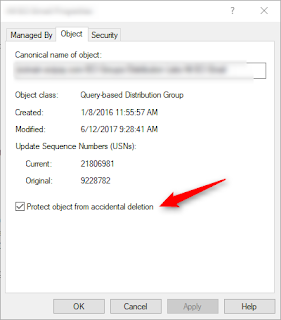 This will prevent the log directory from consuming the entire partition again. After following these steps I rebooted the vCSA for good measure and was able to power on the virtual machine after doing so. Hopefully this will help someone who is having the same (or similar) problem! After deleting a user in Office 365, their account is moved to a 'recycle bin' for 30 days. This allows the user account to be easily recovered. This can often cause issues when attempting to recreate a mailbox while a hybrid configuration is in place. To permanently delete the user within Office 365, first delete the user in the Office 365 Admin Portal or using Powershell. Then, connect to your Azure Active Directory environment with Powershell using the "Connect-MsolService" cmdlet.